Profitability and efficiency go hand-in-hand for most businesses. The correct and quick performance of tasks can make a huge difference to the future and success of your business. At Webzemini, we can help fine-tune your business by eliminating all the inefficiencies when it comes to performing a task through the development of custom-made software. We are one of the few software development companies in Kolkata who understand the uniqueness of each business and we leverage this exclusivity to build powerful software. 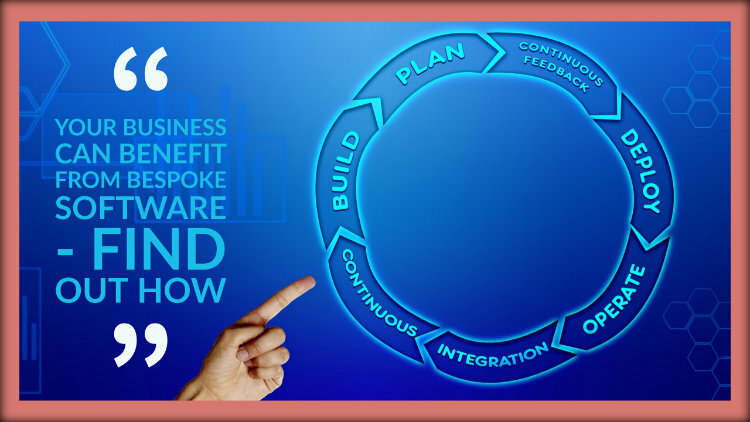 Our software is capable of handling the specific needs of your business and few more benefits are given below. One software for all your tasks: Since we develop tailored software to take care of your individualized business requirements, we make sure that all your needs can be taken care of with just one application. With one software capable of tracking inventory and sales, sending out shipments and other completing other tasks, it can positively impact your bottom line. Automation of regular tasks: As a leading IT company Kolkata, Webzemini assists businesses in automating their regular tasks, such as inventory, payroll, invoice and other such manual, time-consuming jobs. These tasks are usually done on a regular basis, but that does not mean they will be error-free. But, with our custom software, they can be! Paperless future: Visionaries and also industry experts opine that the future is paperless. You can provide exceptional customer service without having to deal with a mountain of paper with our tailor-made software. There are more benefits to bespoke software than the ones mentioned above and you can speak to our team of software developers to get an in-depth idea. As one of the veteran software development companies in Kolkata, we will be glad to discuss favorable pricing packages as per your needs.